By Rebecca Daly | March 17, 2019. 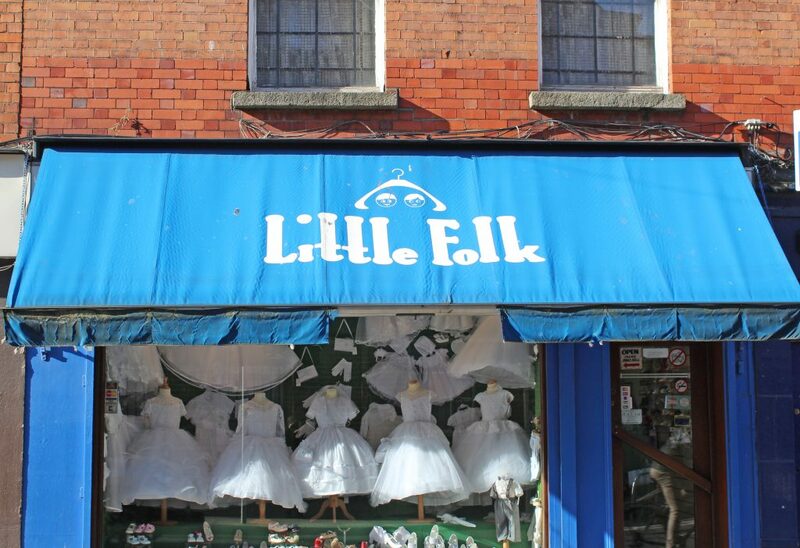 Children’s clothing shop Little Folk is celebrating its 50th year supplying Communion outfits to the people of the Liberties. Located on Meath Street, the shop opened up in October 1968, making spring 2019 their 50th Communion season.The business is run by the Cochrane family, with current owner Colm Cochrane taking over from his mother. It has since become an integral part of Dublin’s Liberties. The shop specialises in Communion attire for both boys and girls. It also supplies Christening outfits and casual wear for children. They sell clothing for every taste, allowing customers to choose between traditional and modern styles. Mr Cochrane revealed that this Communion season’s garb will be a different style to previous years. For example, this year many dresses will be styled without jackets, which was a popular trend up for Communion dresses right up until last season. The shop works with a bridal designer who helps to keep their dresses in fashion through each trend. Over time, Little Folk has become an important part in the celebration of First Holy Communion for the people of the Liberties, with the same families coming back to them to prepare for their big day throughout the decades. The shop has had to adapt to keep up in the world of online shopping by advertising on Facebook and adding pictures of their collections to their website, littlefolk.ie. Little Folk has also had to grow with the ever-changing Liberties around it. Mr Cochrane noted that at one stage people were moving from the area to the suburbs, but over the last 10 to 15 years “the redevelopment of the area” has brought people and business back in. Nonetheless, Mr Cochrane sees the shop as an “anchor” to the street and to the Liberties itself after 50 years of service.